Providing form and function, clawfoot tubs have gained popularity in interior design. With a deeper soaking area, they provide a relaxing atmosphere perfect for any bathroom. However, many homeowners with a small bathroom believe they must sacrifice the beautiful aesthetics of a clawfoot tub due to limited space. 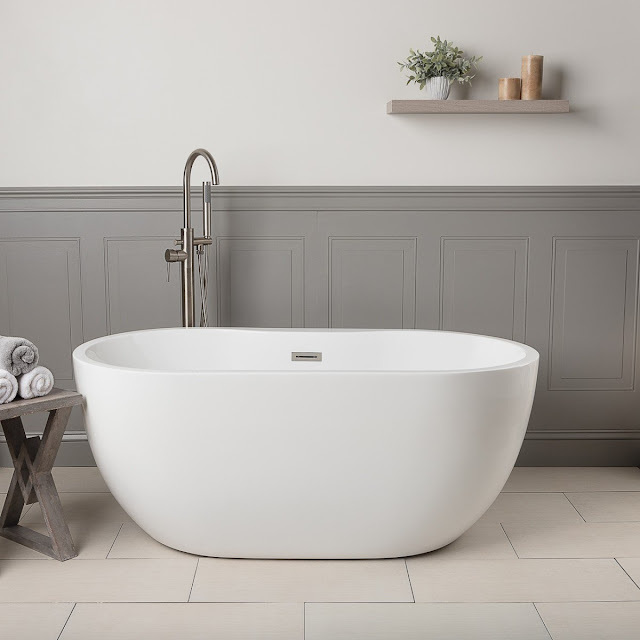 Although clawfoot tubs tend to come in larger sizes, there are many smaller options that are the perfect “fit” (pun intended) for a smaller space. 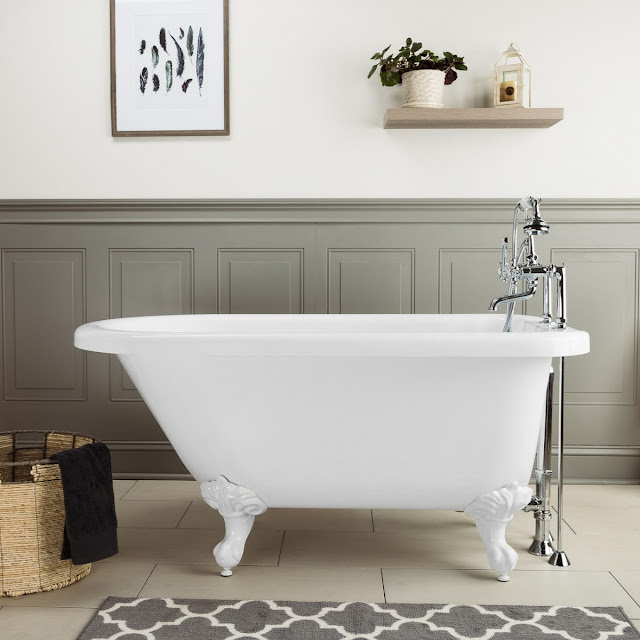 Our Heritage cast iron tub by Randolph Morris is the perfect size for a small bathroom. With sizes ranging from 54” – 72”, this tub provides ample options for any bathroom size need. A recent Texas customer was satisfied by the petite size options, stating, “The tub is perfect for the small space I had in my bathroom." Similar in style to the Norfolk is the Elizabethan Roll Top Tub. This classic roll top tub ranges in size from 48” – 66”, which is a great option for a small, quaint guest bath. 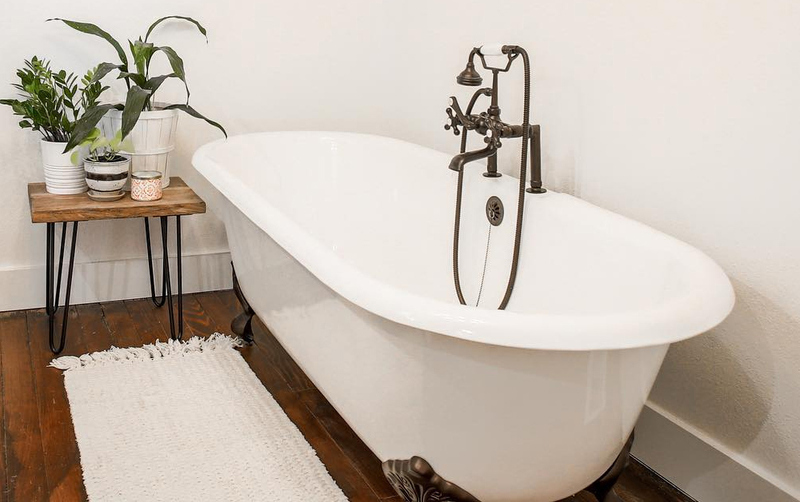 If the weight of a cast iron tub is too heavy for your space, try an acrylic tub. Acrylic tubs offer the same great luxury of cast iron tubs, with half the weight. The Savanna by Randolph Morris is extremely versatile and is offered in 54” – 70” size options, similar to many of its cast iron counterparts. The Aurora tub is designed for relaxation. Offered in 54” and 57” sizes, this tub has a slipper back perfect for reclining, soaking, and relaxing cares away. Although not technically a clawfoot tub, the Hudson Freestanding Tub is a great option for a small bathroom in need of a contemporary flair. Offered in 55”- 65” sizes, this tub is compact, even designed with an integrated overflow system, eliminating the space needed for an exterior drain. Remodeling a small bathroom may have its challenges, but finding a luxurious bathtub to fit the space doesn’t have to be one of them. With the right product, not only can you create a relaxing escape, but also add overall value to your home. These are just a few tub options for a small bathroom. For more inspirations, make sure to follow us on Facebook, Instagram, and Pinterest.